This week I headed to the North of England for Game City. Having never been before, I wasn’t entirely sure what to expect. What I saw on the schedule was an interesting mix of events, exhibition space and partying – and what I got was that, and so much more. The event is organised by Nottingham Trent University, and held in spaces all over the city – in local pubs, the town square, and a wonderful art-house cinema. This eclectic list of locations lends itself well to the variety of things on offer. There were two huge screens with live pixel art, lunchtime interviews with some of the bigger names at the festival and an event based on maps from the British Library. A bit of everything, really. When it comes to events, I recommend keeping an eye on LadyCADE – a group devoted to creating accessible, female-friendly/focused spaces. Game City played host to their first event, and it was a huge success. Starwhal is a two to four person game which you can currently try out in your browser. It’s neon, frantic and has a very simple goal – use your space-narwhal’s horn to pierce the hearts of your opponents. The controls are quick to pick-up, requiring you to simply aim and jump, but challenging enough that everyone starts on an equal playing level. It’s utterly ridiculous, with your narwhal of choice flopping around the screen and occasionally flinging themselves up towards the ceiling – but that’s the charm of it. Laura had a quick look at the game earlier this year, and you can check out her preview here. This game was on show at the closing party, and it’s still in development by Toronto-based gamejam collective Asteroid Base, who have been hammering away at it since January 2012. But don’t worry – you can check out the trailer just below these sentences, right now! Lovers is a two-player platformer based on that bit in Star Wars where Luke and Han shoot at TIE Fighters in those cool turret things. So obviously, you have to work with your partner to steer the ship, destroy the bad guys and protect the good ones. It’s bright, charming and again – simple to pick up and dive into. With a cute and colourful design, it’s an absolute pleasure to play and one to look forward to. We reviewed Castles when it first came out last week, and I’ve been a fan since I first played it, so it may seem an odd choice to highlight now. It’s here because whilst I didn’t discover it at Game City, a friend of mine did – a friend who admits to knowing very little about games, and not having much interest beyond the availability of them on their phone. Their response to Castles was the very embodiment of what Game City is about – a bouncing, unrestrained delight at the world that had been revealed to them. If you want to play something that’ll give you that childlike sense of joy, Castles is for you. Lucky Frame are a bit of an unconventional studio, having made everything from iPad games to a musical pigsty. ROFLpillar is on the eccentric side of that scale – a two-player game where you play a caterpillar and use motion control to achieve your goal of eating the most apples and growing the largest. Another game by Lucky Frame – but this time one you can pick up at home! Gentlemen is a 2D platforming frenzy of victorian-themed weaponry, grudges and gravity flipping. Another game that’s easy to learn and great to introduce to new people, its basic mechanic revolves around reversing gravity and chasing down your opponents by doing so. With weapons ranging from homing pigeons to dynamite, the rounds are short and punchy – but you’ll want to keep playing for hours. Available for PC, Mac, iPad, Android and Ouya, you can find Gentlemen on their website. 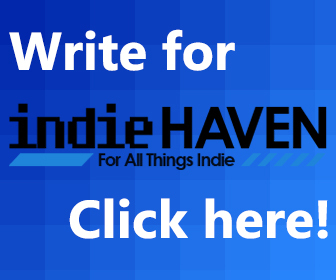 Another game that’s still in development, There Shall Be Lancing from Sophie Houlden is one to add to your watch list. 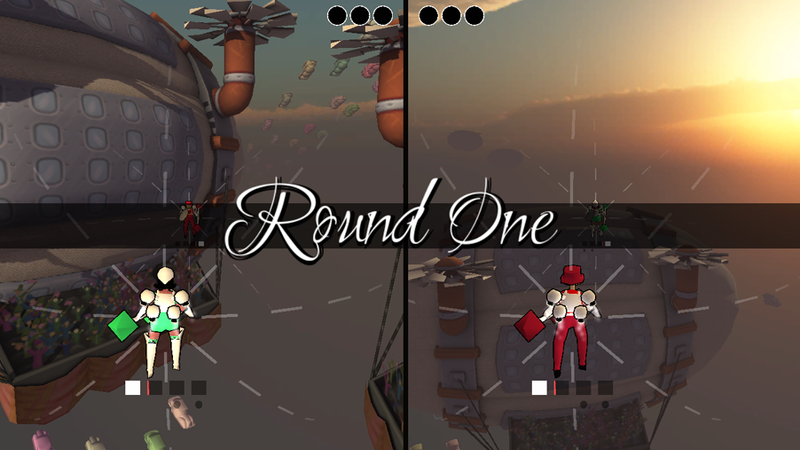 You’re armed with a jetpack, shield and lance and can travel around set routes in a sphere to attack your opponents. It’s a game of quick reaction, forward planning and perfect timing – but don’t let that stop you. With the only goal being to lance your opponent, there’s little to worry about in terms of complicated controls to remember, and you can focus more on learning your opponent’s routes and tactics in order to skewer them more efficiently. Lazarus is a no-stick shooter designed by Spilt Milk Studios. You control the ship’s motion with one finger, and the direction of fire with another – and that’s it. Designed for tablets, its minimalist design harks back to the arcade games of yore, but the touch-screen-based controls make sure you know it’s firmly up to date. Lazarus is still in development, but having played a preview in the Arcade, it’s one I’m excited to pick up when it eventually appears on mobile stores. Also, it features a robot pug. What more could you want? Any discussion of GameCity would be incomplete with at least a mention of Mike Bithell’s Volume announcement. It was in a castle, after all! A setting well suited to the reveal it turned out, as we discovered Volume is designed to be a modernised retelling of Robin Hood incorporating elements of Metal Gear stealth and VR mission aesthetics. You can read our coverage of the event here. So that’s it for our roundup of Game City! We hope you’ve discovered plenty of games to check out now, to watch in future, and to share with friends and family alike – regardless of whether they’ve played before or not. Jenni is studying philosophy and religion, but likes to pretend her two true loves (gaming and science fiction) are totally relevant to that. When she isn't playing games, you can find her making exciting things in museums or hidden in a pile of books. You can find her on twitter @geekessays.